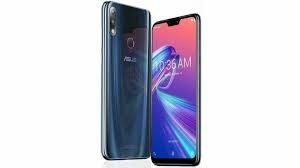 The Asus ZenFone Max Pro M2 will receive the Android 9 beta update, this was revealed on Saturday by the Taiwanese company. But the update is still a beta, which means it will be available to only beta programme participants. A beta update is not a stable update, but Asus says that they will be releasing the stable update in the near version, where bugs and other problems won’t exist. The company released the beta update to get a genuine feedback from the actual phone owners before they release the final version. For those owners who are willing to try the update, you can head to the company’s official website to seek more information. Asus says that those who are interested in the beta update must share their IMEI number, serial number, and their present firmware details. You can submit an application on their official website, if you get selected in their beta programme you will get an email from them. As of now, there is no official changelog for the update, but the users of the phone can see the base features of the Android 9 Pie which are Adaptive Brightness, App Actions, Adaptive Battery, and many more. This news came out after Asus released a stable software update for their Asus ZenFone Max Pro M2, this includes advanced AI-scene detection and January security patch.